The two young boys buried in these graves were children of James and Fannie Horwitz, Jewish Polish immigrants from Galicia, an area of historic Poland that had been seized by Austria in the first partition of Poland in 1772. The couple came to America shortly after their marriage in 1853, eventually settling in Cleveland in circa 1865. In that year, two-year old Aaron died, becoming the first person to be buried at Fir Street Cemetery. 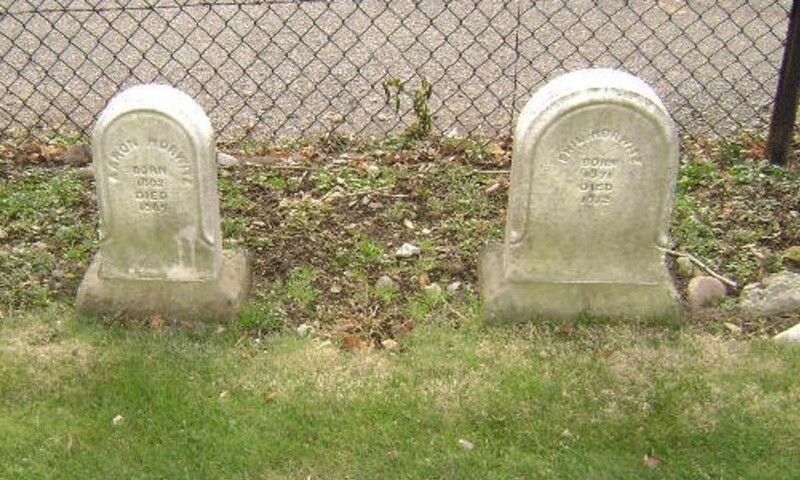 His grave stone is the one on the left.